Vallie Sue (AJ Michalka), a young teenager with big dreams, lives in a desolate, gritty little town, built on the site of an old drive-in movie theater. The townspeople and her own mother (Alicia Silverstone) barely pay attention to her, but she finds solace from a mystical cowboy and a former enemy. Cast: Alicia Silverstone (Clueless), AJ Michalka (Super8), Billy Burke (Twilight movies, Revolution). Synopsis: Vallie Sue (AJ Michalka), a young teenager with big dreams, lives in a desolate, gritty little town, built on the site of an old drive-in movie theater. 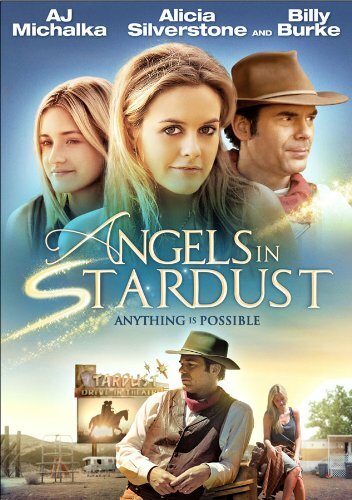 The townspeople and her own mother (Alicia Silverstone) barely pay attention to her, but she finds solace from a mystical cowboy and a former enemy. With their help, she finds the courage and strength to reach her potential without losing her heart. Rated: PG-13 for thematic elements, sexual material, some menace, language, smoking and teen drinking.